and I'm thrilled that I can do it myself on anything! 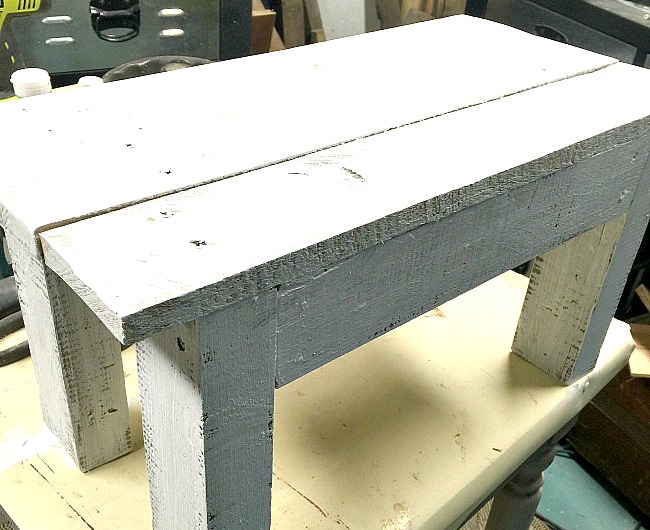 I have this set of rustic step stools in my bedroom that I made myself, you can read how the small one was made by clicking on the blue link. One was made from an old door and the other from reclaimed wood. The instructions can be found here for making the larger stool. 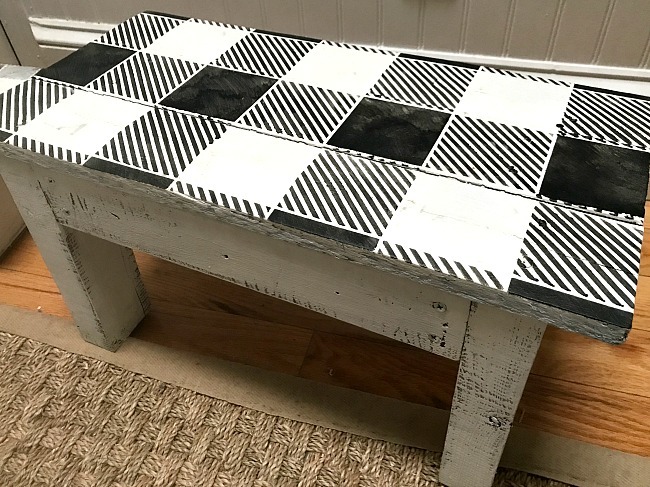 Until I wrote this post only the smaller stool was stenciled with the buffalo check I got from Old Sign Stencils. 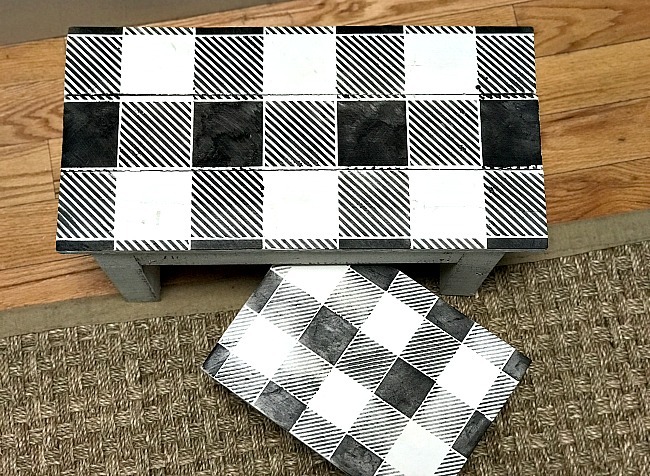 But now that Funky Junk Interiors made a brand new larger buffalo check stencil I couldn't wait to use that one too! 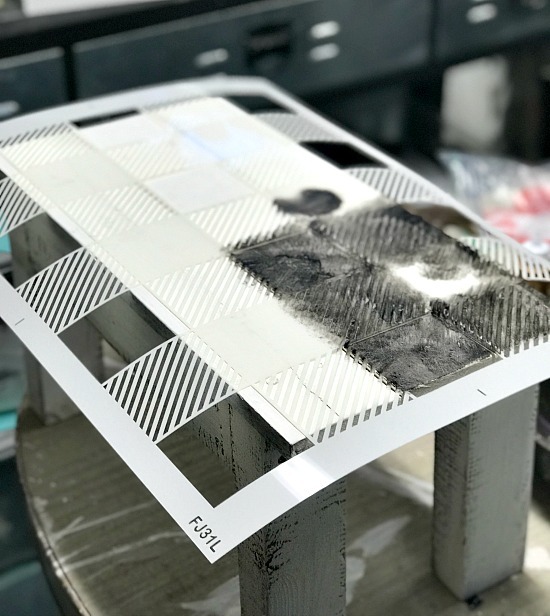 The larger stencil is just as easy to use as the smaller buffalo check stencil only it has larger checks and can cover more space. Visit here to check out all the Old Sign Stencils that are available now. I'm sure you'll find at least one you'll love! I thought it would be fun to have one stool with the small checks and the other larger stool with the big checks. I used a stencil brush and a fairly dry brush so the paint doesn't bleed under the stencil. You can use a spray adhesive to hold down the stencil but once you get the hang of it all you really need to do is to hold the stencil in place while you dry brush it. 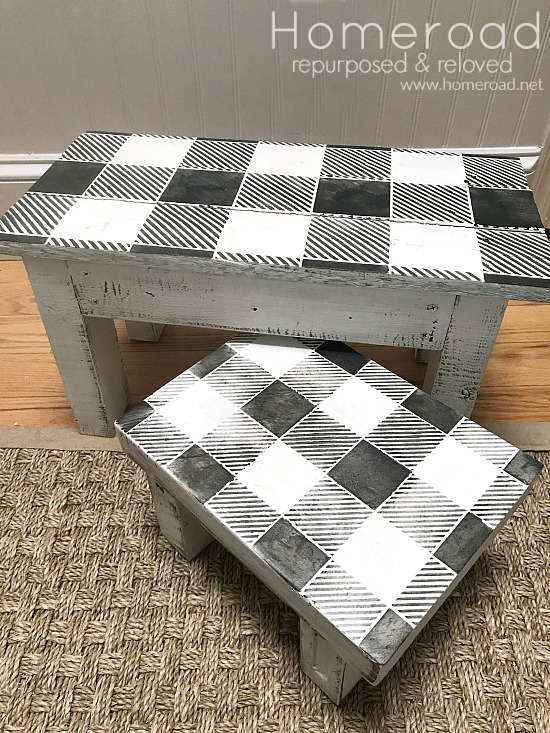 You can go back over the areas to get a darker more solid effect or you can do like I did on these stools and make it a little rustic and faded in places. 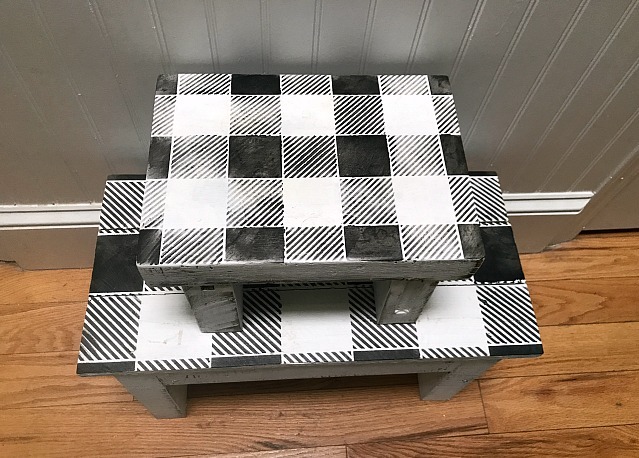 I could not wait until the paint dried so I could stack these 2 stools and finish off the look I started with the first stenciled stool. They were perfectly rustic and perfectly sized thanks to the new larger buffalo check stencil! They're sitting right outside my walk-in closet so I can grab one when I need to reach a high shelf. And now they have the perfect buffalo checked look I wanted in no time at all! Looking for more ideas for the buffalo check stencil? 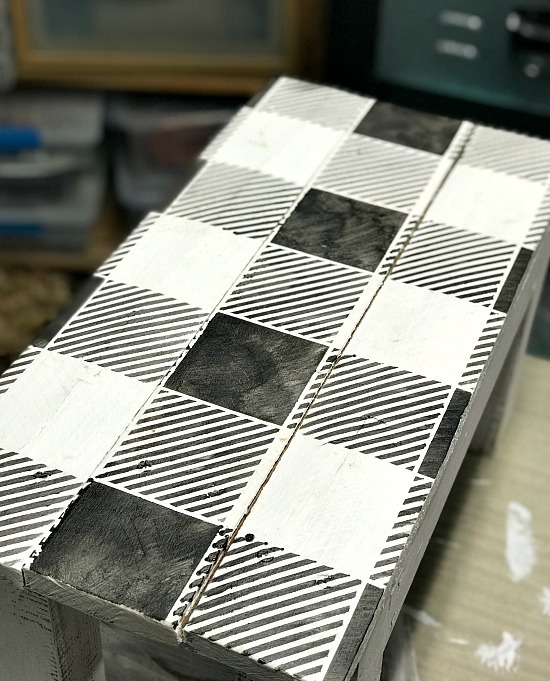 latest DIY project can be sent straight to you! 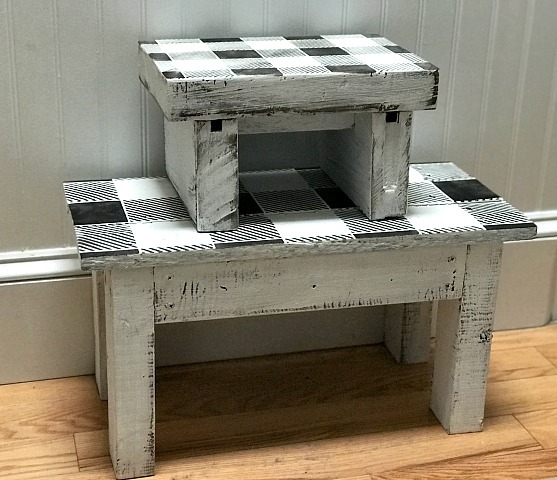 I stenciled a similar stool for Canada Day last year but I'm loving it a lot more in buffalo check!